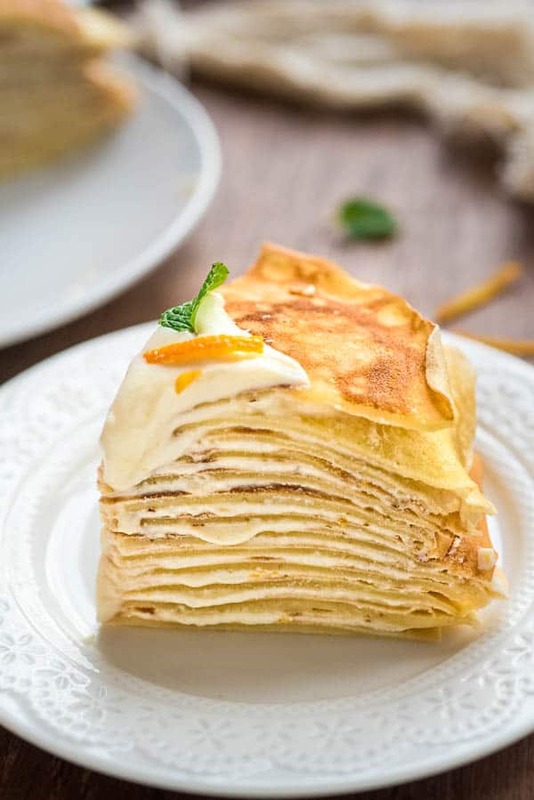 Layers of tender and deliciously delicate crepes with smooth, creamy ricotta filling make this Ricotta Crepe Cake a perfect breakfast or afternoon treat. I don’t know a single person who doesn’t love crepes. 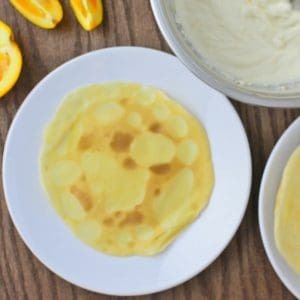 Originating in France, but enjoyed all over the world, crepes are so versatile and tasty that it’s no wonder you find yourself checking out this Ricotta Crepe Cake. And I hope you’ll go ahead and give this recipe a try, and treat your family to this delicious breakfast! Some people think it takes too much time to make crepes. That is not true. Once you make the first crepe, you won’t even notice how the rest get done. 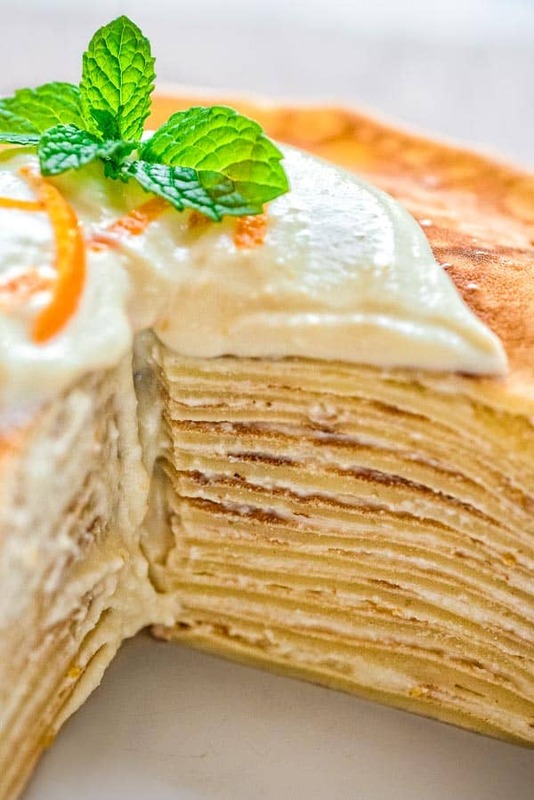 It takes less than a minute to cook a crepe on both sides. And you know what? It’s so fun to do! To make things even simpler, I used a blender to make the batter, so no whisking required here. 1. 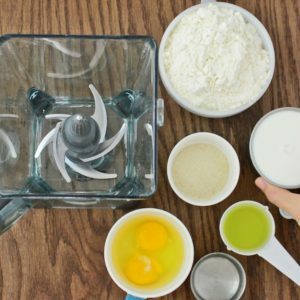 To prepare the batter, place all of the batter ingredients into a blender and process for about 30 seconds, until it looks smooth and no lumps remain. 2. Heat a small, non-stick pan on medium heat. Pour about 1 ounce of batter into the center of the pan and swirl to spread evenly. Cook for 30 seconds, flip, and cook for another 10 seconds. Repeat this step until no batter remains. 3. Place the ricotta filling ingredients into a medium bowl and, using a hand mixer, process until smooth. 4. 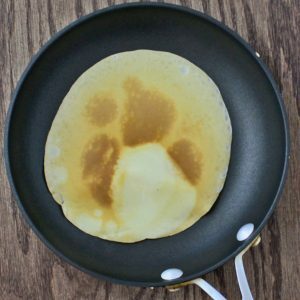 Place a crepe on a shallow dish and spread a spoonful of the ricotta mixture on top. Repeat this step with all of the crepes, reserving about 1/4 cup of the ricotta mixture for garnish. 5. 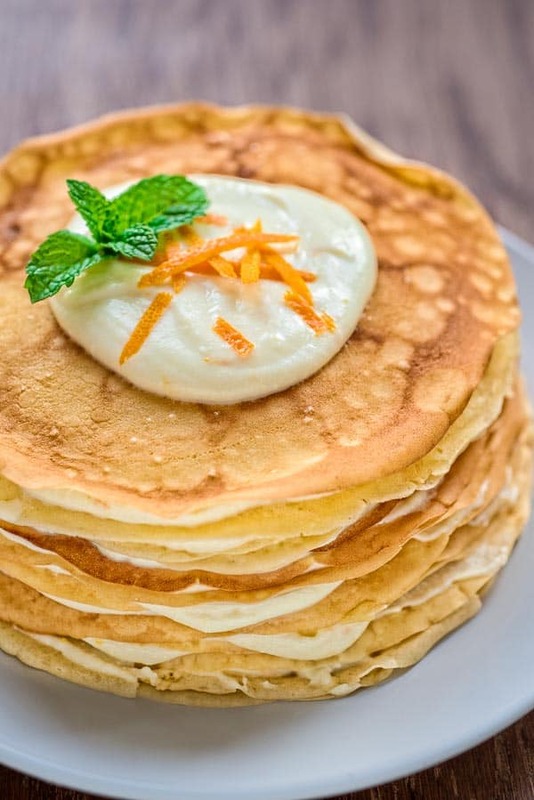 Garnish the Ricotta Crepe Cake with the reserved ricotta mixture and some orange zest. Drizzle with honey, if you’d like. You are all done! 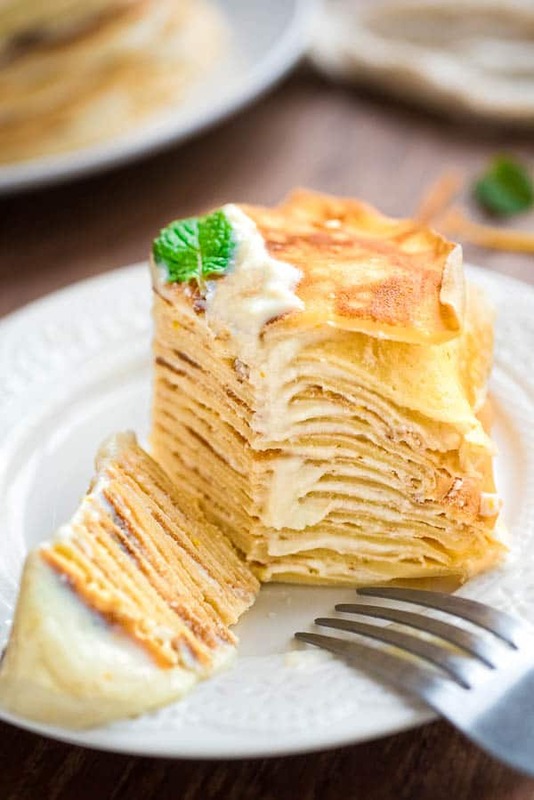 Place your Ricotta Crepe Cake in the refrigerator for at least 15 minutes, to let the filling set. Use this time to make coffee and set the table. Have a great day! 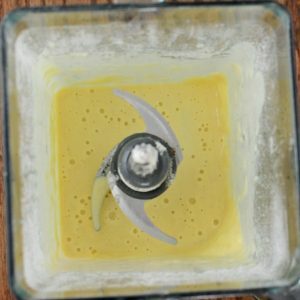 To prepare the batter, place all of the batter ingredients into a blender and process for about 30 seconds, until it looks smooth and no lumps remain. Heat a small, non-stick pan on medium heat. Pour about 1 ounce of batter into the center of the pan and swirl to spread evenly. Cook for 30 seconds, flip, and cook for another 10 seconds. Repeat this step until no batter remains. 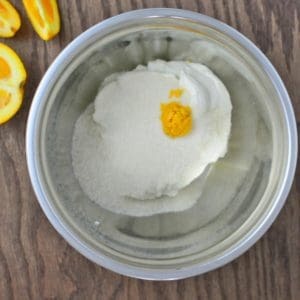 Place the ricotta filling ingredients into a medium bowl and, using a hand mixer, process until smooth. 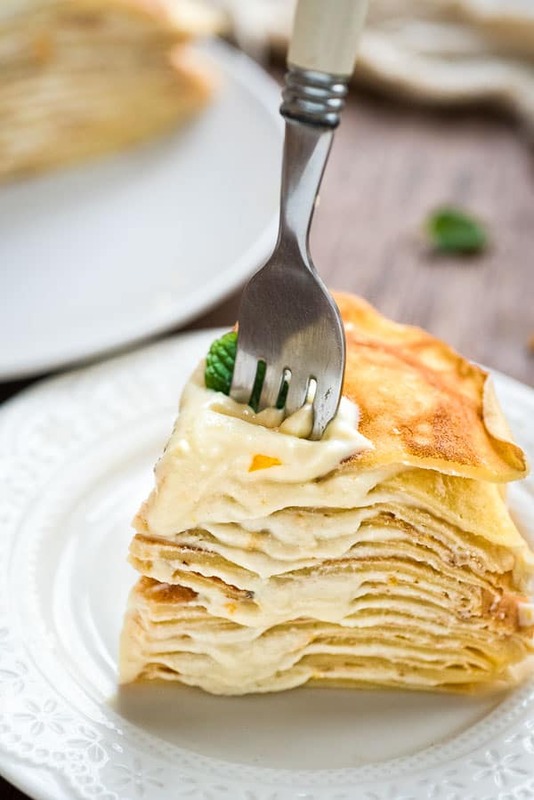 Place a crepe on a shallow dish and spread a spoonful of the ricotta mixture on top. Repeat this step with all of the crepes, reserving about 1/4 cup of the ricotta mixture for garnish. Garnish the Ricotta Crepe Cake with the reserved ricotta mixture and some orange zest. Drizzle with honey, if you’d like. It came out sooo good, my family loved!!!! Glad you liked it, this is what I love to hear! Your photos are just gorgeous! Love how the mint leaf just pops off the page. This is such a beautiful cake and a great idea!